I love, love, love macarons. Please don't confuse them with macaroons. Although they are both desserts, in my opinion, one of them is far superior in flavor than the other. Anyway for those people living in Los Angeles, not only do I envy you for your lovely weather, but I also am incredibly jealous of your proximity to the wonderful Lette Macarons. 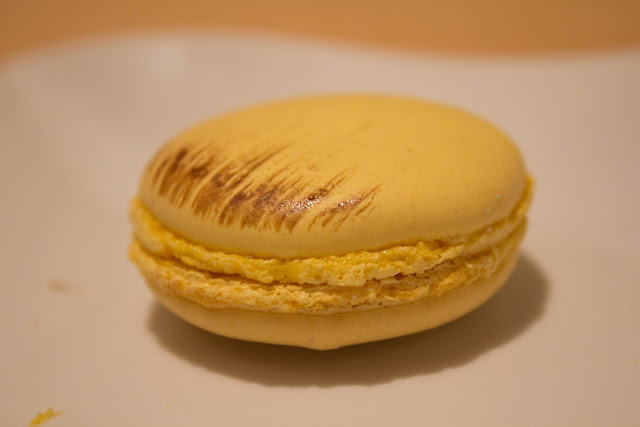 I previously talked about Lette Macarons before in this post, but as I said before I've never been to the store myeslf so I can't comment on decor of service. 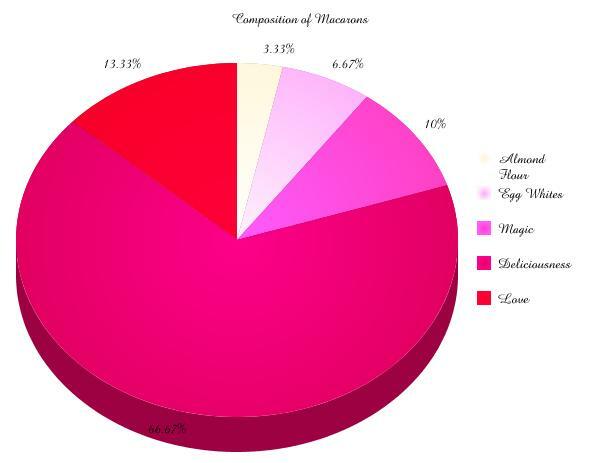 However, some of you may be wondering how I get these precious gems delivered to me in such an expedient matter. It is entirely my dad and my sister's graciousness and kindheartedness that allows me to eat these macarons and a semi-regular basis. My sister was going to summer school down in LA for a period of time and my dad goes there quite often for business trips, so whenever they thought of my mother and I stranded up alone in the cold white north....they team up and buy a box of macarons. I love macarons. If they're done properly, as Lette Macarons are, I think they're the most addictive amazing desserts in the world. These macarons are so, so, so...balanced. They're not so cloyingly sweet that you can only eat a couple, but have enough sweetness and actual flavor to become incredibly addictive instead. I have to bring up the incredible texture of these macarons. They are not brittle, stale, or powdery as some pre-packaged macarons or macarons that are just made of lies, but instead are light, crisp and chewy. 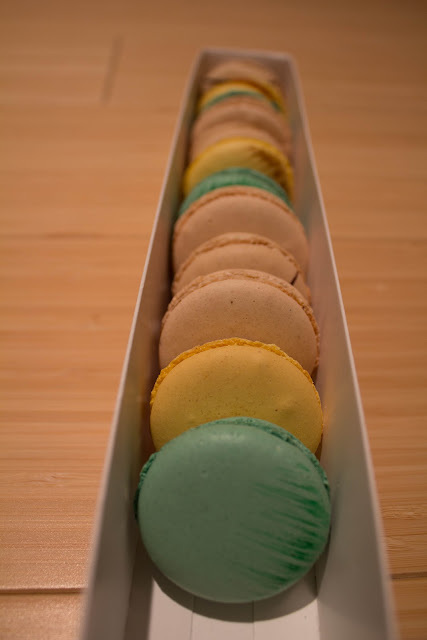 The vivid colors of the macarons are the only foreshadowing to the immense flavor sealed within. I am in no means and dessert officianado, but I do love to indulge myself in them. 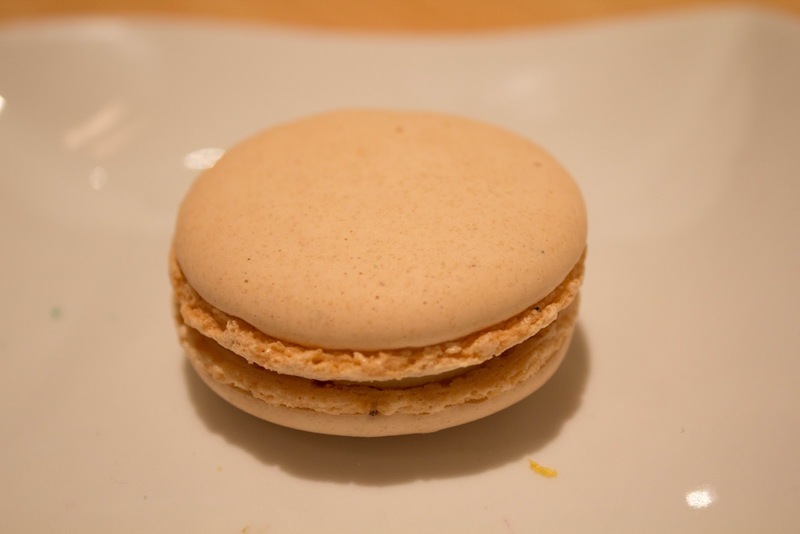 Perhaps one of my all times favorites from Lette Macarons is the caramel macaron. Again, as with all of the macaroons from Lette, the caramel macaron is not too sweet at all. 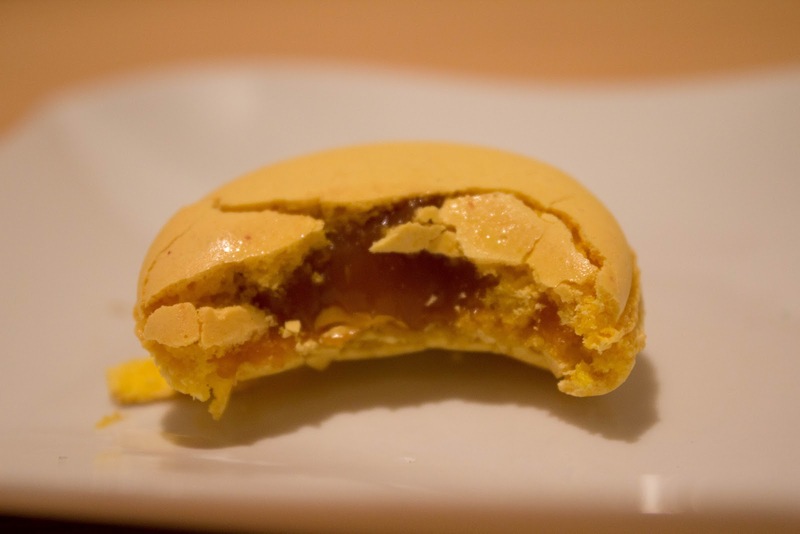 Instead the chewy nature of the macaron itself melds together with the sticky sweetness of the caramel filling and makes eating it a thoroughly enjoyable experience. I mentioned in my last post the experience my sister had when buying these for the rest of the family, but I'll retell it just for the giggles. ;) A man cut in front of her inline and asked how many caramel macarons were left and the girl behind the counter told him "Over fifty I think?" Well, he bought all of them. My sister was absolutely devastated. I think that story in itself speaks for the sheer deliciousness of the caramel macarons. The coffee macaron is my parent's favorite among the bunch and I have to say that they do have a very "sophisticated taste". 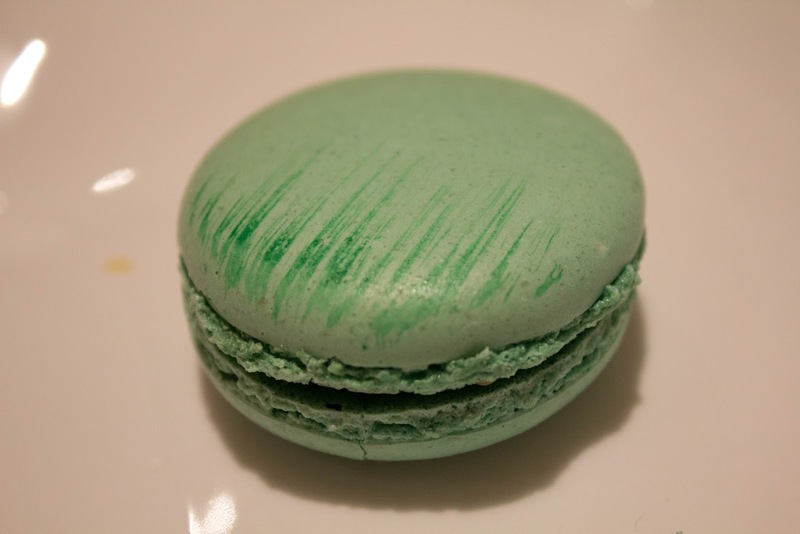 Again this macaron isn't too sweet, but enough to completely coat your palette and make you want more. 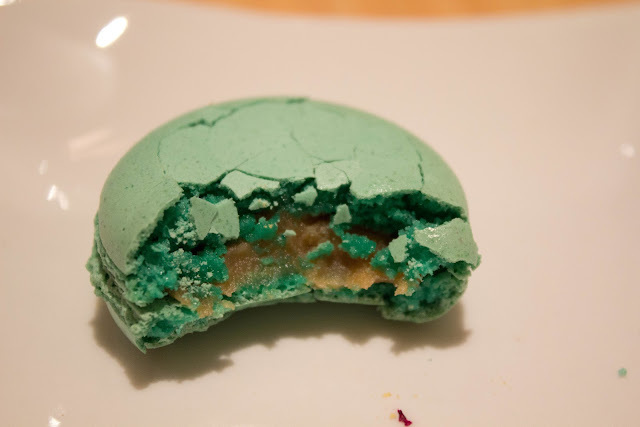 I would say out of all the macarons I've eaten, this would be the one that I would consider the least "kid friendly." 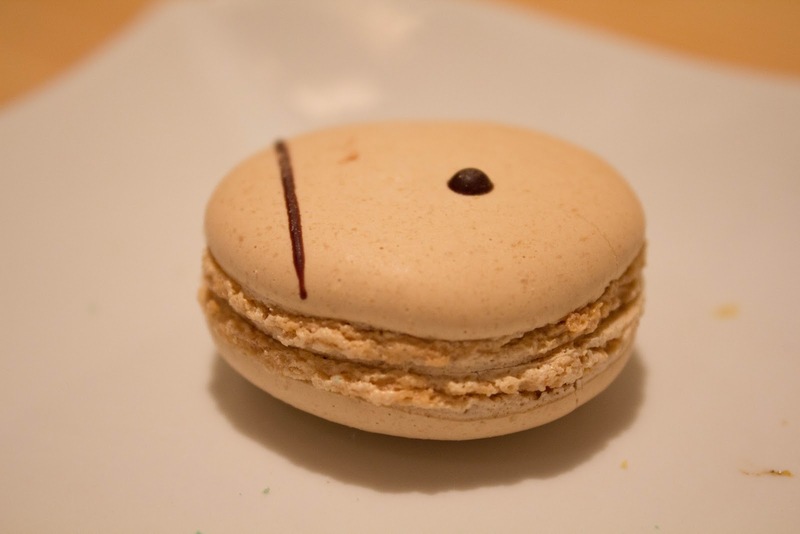 This macaron still retains the integrity of the original coffee flavor. 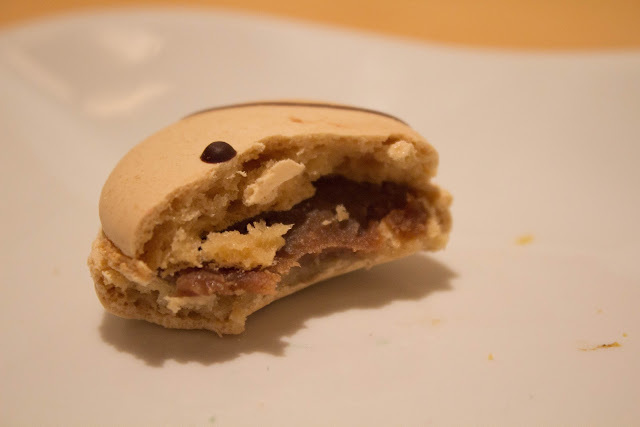 A lot of coffee flavored items can have lots of sugar and milk added to them to make the bitter coffee flavor more palatable, but this macaron manages to wrestle the bitterness of coffee into a more mellow form. They're just sweet enough to counterbalance the bitter and highlight the coffee flavor. I personally also highly recommend this flavor. Vanilla anything gets a pretty bad rap I think. Plain Vanilla, mellow, boring....poor vanilla. =( I'm sort of on the fence with this one, I love vanilla things, but only if they're paired with something. 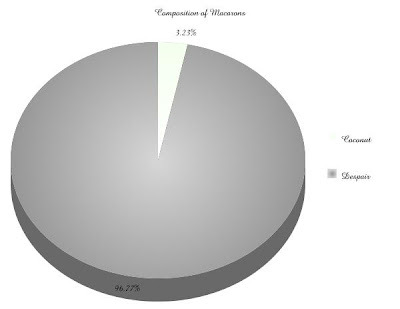 Just straight vanilla can be a little bit boring for me. 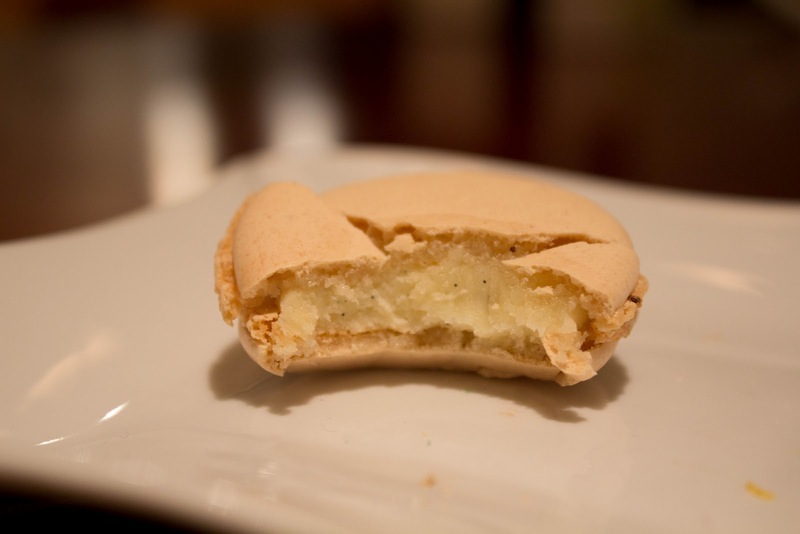 However, ff you're a vanilla fanatic I think you'll love these delicate, sweet little vanilla macarons by themselves. As for me, I love these babies paired with some fresh raspberries and chocolate ice cream. 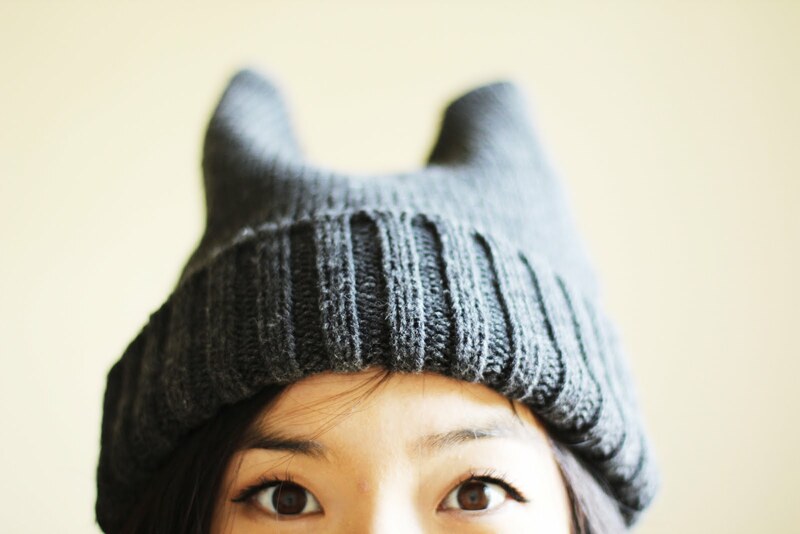 =) Delicious! I have to note that I can eat a whole box of macarons by themselves, but for the vanilla macarons I always have them with something else. I think you'll enjoy them though. I can't comment on the service or design, but I can assure you that you will love these perfectly baked multicolored gems. They are beautiful, simple, delicious and just plain addictive. 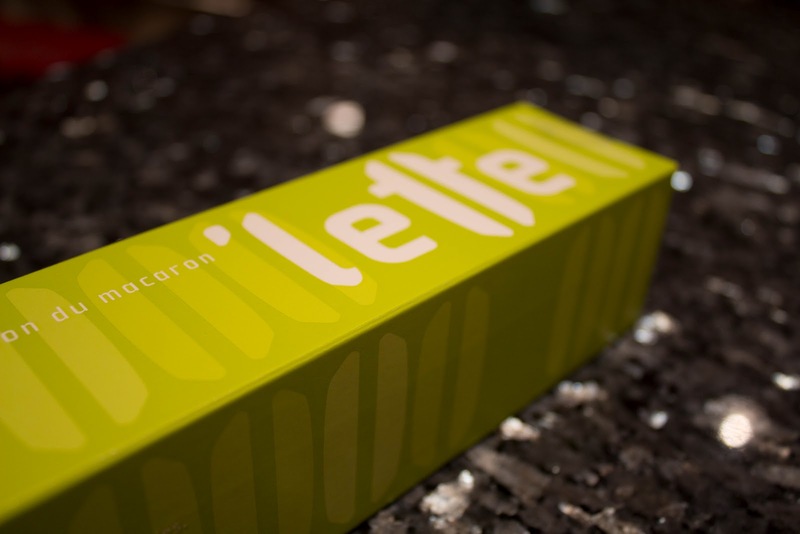 If you're ever in Los Angeles and you're looking for a quick fix for a sweet craving please give Lette Macarons a try. You won't regret it!